It’s been nine months since I wrote the original Ultimate Guide to the Facebook Edgerank Algorithm. I was amazed to see the reaction to the piece. It clearly seemed to strike a chord as it went on to be the most popular guest post on Econsultancy in 2012. But a lot has changed since then in the world of Facebook. As I’m currently putting together a presentation for the upcoming Econsultancy Digital Shorts event in Manchester on Edgerank and other social algorithms, now seemed the perfect time to revisit the piece to update and expand it. EdgeRank is one of the most important algorithms in marketing. Despite this, very few people have heard of it and fewer still can claim that they fully understand it. EdgeRank is the name of the algorithm which Facebook uses to determine what appears in their users’ news feeds. 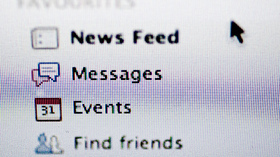 The news feed is Facebook’s ‘Killer App’. There is a plethora of information available to Facebook users, and the newsfeed is the order in which it appears. It determines not only which of your connections is the most important to you, meaning their content appears most frequently, but also which kinds of content should appear higher than others. For anyone seeking to market a product or service on Facebook it’s essential you understand how this algorithm works. Understanding the rules of the algorithm and changing your tactics to reflect the system can make the difference between a business changing campaign and an embarrassing failure. Yet despite its importance very little has been written about the algorithm. Unlike many of the algorithms that are changing marketing, Edgerank is actually not that sophisticated, but don’t let its relative simplicity make you underestimate the influence knowledge of the subject will have on your tactical choices. Its importance is even more significant in that it is a precursor to many newer social algorithms like Google+ or Twitter’s Top Tweets. By successfully understanding how Facebook aggregate, sort and prioritise social content we can better anticipate how other alternatives might develop. Additionally, as social signals become part of the SEO landscape, understanding how Facebook deal with social signals is hugely helpful in grasping where natural search algo’s might be heading. Let’s start off with the name. Other than because it sounds cool, why is the News Feed algo known as EdgeRank? This is because every piece of content or interaction of Facebook is known as an “edge”. So, a status update is an edge; liking a status update, that’s an edge; uploading a photo, that’s an edge, too; or a change in relationship status? That’s also an edge. Basically, every interaction you have with Facebook that creates a piece of content is known as an Edge. Even listening to a song on Spotify or reading an article from the Guardian have become Edges with Facebook’s frictionless sharing. So, the newsfeed isn’t really a feed of news. Instead, it’s a chart of the most ‘important’ Edges as determined by the EdgeRank Algorithm. What are the elements that make this algorithm? A combination of three factors: Affinity, Edge Weight and Recency. The EdgeRank formula is based on these three elements. While this does make the algo seem simple, there’s actually a huge amount of complexity behind these three factors. Affinity is a score based on the proximity to or how “friendly” you are with someone. You’ve probably seen this in action. Spy on an ex-boyfriend or girlfriend, snoop on their profile and suddenly they’re in your news feed all the time. Comment on someone’s photos and you’ll find them appearing in your feed more often. This is affinity in action. You’ve sent a proactive signal that you have a ‘close-ness’ to that individual or organisation. The algorithm acknowledges this and begins to order the results in your newsfeed accordingly. Some people aren’t wholly supportive of Affinity having such a significant role in EdgeRank. The concern is that it becomes a self-fulfilling prophecy, i.e. the more often someone appears in your news feed, the more likely you are to increase your affinity, which in turn increases the likelihood of them appearing in your feed in the future and so on. But given how people tend to cluster around only a small number of their connections, it seems to work well for most people on Facebook. One of the most important things you need to realise about affinity as a marketer is that affinity is one-way. This means you visiting a forgotten friend’s profile doesn’t increase the likelihood of you appearing in their newsfeed. I’m sure for nosey people that is great news. It is less likely to be considered good news for company profiles. For example, if you visit a profile of someone following you, it will have no impact on your Edges appearing in their feed. However, you commenting on a photo of theirs which then triggers them to comment back would lead to them having a greater affinity to you. As an individual, if you’d like an indication of who you have the highest affinity to, look in your chat bar. The people who appear (even if they are offline) are often those you have the most proximity to on Facebook. Edge Weight is a basic formula which decides that certain pieces of content are more likely to appear in news feeds than others. Photos are more important than someone “liking” a business profile, etc. There’s no definitive sequence of Edge Weight, but there are certain objects which acquire more EdgeRank than others. This can imply that they tend to have a higher Edge Weight than other types of content. The three types of content which are widely understood to have the highest Edge Weight are Videos, Photos, and Links. Knowing that these have the heaviest weighting should alter the way you communicate using Facebook. You should try and incorporate objects with high weight scores into any announcements that you want to reach as many of your followers as possible. It’s also worth noting that each person’s Edge Weight is different, i.e. someone who likes browsing photographs is more likely to have them in their feed than someone who isn’t as keen on them. It’s not possible to understand which types of objects each of your followers favour, but this should at least deter you from the temptation of adding photos to every status update. On the one hand, adding one type of ‘Edge’ will seem like a sensible strategy as it will have a high Edge Weight. On the other hand, for the people who don’t often click on photos you might have more success with a link, a video or an old fashioned text status update. It’s also worth noting potential political elements to Edge Weight. 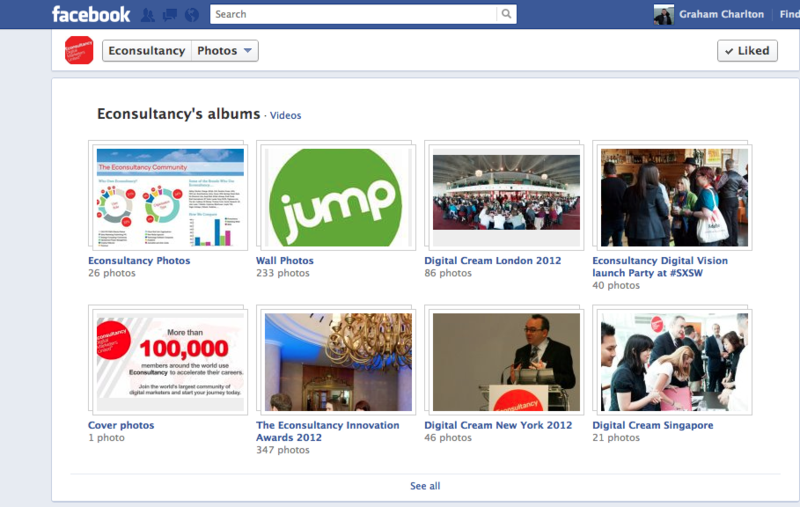 At any point in time there will be certain features which Facebook will want to strategically push. Is it that far-fetched to assume that given Facebook’s desire to own image sharing that they might turn up the weight of Facebook photos rather than an image shared as a link to another site? You should recognise what Facebook are trying to promote, as it’s likely to influence the EdgeRank algo. Another aspect of this is that weight can accumulate, i.e. lots of likes or comments will increase the weight of the original Edge. This is why anything which encourages debate or comment quickly will more likely appear in newsfeeds. So, clearly variety is important, but understanding the relative weights of different types of object will help you increase the potential audiences of any message you’re trying to get across on Facebook. The techniques you choose to increase the accumulation of weight can have a huge impact on the reach of your content. The final element of the EdgeRank is related to recency, which is actually known as time decay. Facebook is still very reliant on the temporal nature of content, which is again pretty self-evident. Put simply, recency is that something newer is more likely to appear than something older. For example, regardless of how much the EdgeRank is based on Affinity and Weight, if it’s old news it becomes less likely to appear. This is different to Twitter which relies only on chronological order. The implication of this being that you should create objects and edges at the points in time when your audience are most likely to be using Facebook. This decreases the time decay and therefore increases the chance of your content reaching their news feed. There is also another potential consequence of understanding the time decay factor. When appearing in the news feed you have exceeded the EdgeRank of other items. You might then increase the exposure by creating content when other people are less likely to be creating content, therefore reducing the competition for spots in the news feed. Now if you’re a regular user of Facebook, many of these ideas behind EdgeRank are obvious, but with a good appreciation and understanding of how EdgeRank works you will begin to make more intelligent decisions in your Facebook marketing campaign. The creativity of big campaigns is important. However, from my experience of Facebook Marketing, while it’s these huge efforts that always draw the attention and become the focus of case studies, it’s actually those lower profile campaigns which are built on constant interaction with their fans that really deliver the most value. Whether you’re managing a campaign to make a big splash or a constant drip, there are plenty of takeaways from understanding more about more about how Edgerank works. For example if you have an important launch coming up and you really want that content to appear in as many of your fans’ news feeds as possible, what can you do to increase the likelihood of it appearing? First of all, you want to do all you can to increase the affinity between your followers and you ahead of the announcement. Perhaps you could start a debate on one of your status updates which lots of your followers contribute to. Not only will the number of comments increase the likelihood of that particular item appearing in the newsfeed, but also anyone who has made a contribution will have increased their affinity to you. Don’t be afraid to ask for the contribution! Buddy Media has found that using questioning words like Where, When, Why and Would have a dramatic influence on likes and comments, and as these likes and comments increase affinity, this has a positive influence on the reach of any future messages. So, in the run up to your important announcement, plan a series of updates which have the purpose of trying to increase the affinity between your profile and your followers. Tease the update, ask questions, say something divisive, etc. You need a plan to increase the affinity of as many of your followers as possible. This should be an on-going plan as affinity is something that will decrease over time, and generally speaking, you want as many of your updates to appear in front of as many of the right people as possible. Since we also know that in general, photos tend to appear in news feeds more frequently than normal status updates, perhaps you ought to accompany the release with a series of photographs. Videos and Links also have a higher than average weighting so should also be part of your posting plans. So, media and assets need to be part of your Facebook strategy. You need to develop a content and asset strategy and a schedule for them. This can be comprehensive or flexible but thinking about what you can do to create updates with higher weight will enable you to interact with a bigger audience. Also, the fact that this type of content is also far more likely to be shared is an added bonus. If you also know that the more recent your update is, the more likely it is to appear in news feeds, it should have an impact on when your announcement is made to ensure it coincides with your followers logging into their accounts. Explore when you get the most interaction on your posts and try and coincide future updates. One of the biggest problems I have with most Facebook marketing campaigns is that they look to the number of likes a Facebook Page has the main measure of success. Although it is very easy to measure, EdgeRank educates us that just because someone ‘Likes’ an account doesn’t mean it will appear in the followers’ news feeds. This means if you want your messages and conversations to reach your potential customers, you will find a smaller but more engaged audience may lead to more appearances in the feed than a larger but less engaged audience. I’ve been very pleased to see the rise in understanding in EdgeRank over the last year. One of the people who can take the credit for that rise is Chad Wittman and the team at EdgeRank Checker. But I do have a note of caution related to their tool. While I have no doubt that the people behind the tool completely grasps the algo, I think the tool struggles to assess one of the most important aspects of EdgeRank: Affinity. The most important thing to understand about EdgeRank is that it is based upon an individual user and an Edge, and this can’t, nor shouldn’t, be aggregated. The tool does not and cannot report of what affinity your fans have to you; only what interactions they’ve had in the past. Affinity is personal too, and therefore very difficult to amalgamate across a whole audience. It does provide some interesting insights into weight and some actionable insights into decay but inevitably is a little reductive on affinity. It can be a useful tool to help you improve your EdgeRank but can’t, in my opinion, help you numerically report on your EdgeRank, which I fear what some people may be using it for despite the great intentions of those behind the tool. One of the changes which has the potential ability to disrupt the newsfeed and therefore EdgeRank was the ticker. Which initially promised to introduce a real time feed of what your friends were doing on Facebook, in effect ignoring affinity and weight, in actuality that doesn’t seem to be the case. There does appear to be some algorithmic filtering taking place on the Ticker. I’m not aware of anyone from Facebook having gone on the record about what influences what appears in the ticker, but my gut feel it’s merely a modified version of the EdgeRank algo which concentrates far more on decay and weight at the expense of affinity. For example it really seems to highlight apps built upon Facebook’s frictionless sharing like Spotify. How do they decide the relative weight? I think we need to think about Facebook’s strategic objectives: the ticker probably favours Edges which they want to highlight, e.g new functionality, partners they want to drive traffic to, etc. The introduction of friend groupings that mimic Google+ Circles also has potential ramifications for EdgeRank. In the past affinity was implicit based on usage, e.g. you want you know about the people FB knows you interact with. Now there is the potential for explicit feedback from users about who they want to hear from, which has got to have an impact. However, most of us reading this post are interested in how we can make sure the ways our companies and clients use of Facebook are the most effective; our company pages can’t be added to friend lists, (but can to interest groups) so probably won’t have a huge impact beyond potentially favouring people over pages. Without question, the introduction of TimeLines is one of the biggest shifts in how Facebook operates since the introduction of the newsfeed. However in principle, it shouldn’t have an impact on what appears in the newsfeed other than in two indirect ways. First, it has the potential to alter the way in which people interact with existing Edges, though this probably minimal. Second, it could also potentially give some explicit feedback on weight, e.g. the types of content people decide to include/exclude from their TimeLine might inform their personal attitude to the weight of different types of Edge. All in all, Edgerank is at the heart of determining what content people see the second they log-in to Facebook. If you’re promoting a business through FB, you need an appreciation of how it works and reflect it in your day to day tactical actions. If you’re looking for more information on Facebook, we have just pubished a new update to our report: Facebook Pages for Business: A Best Practice Guide.